Canice Geraldine Paliotta is running for County Supervisor for the town of Oxford in the November 2017 general election. 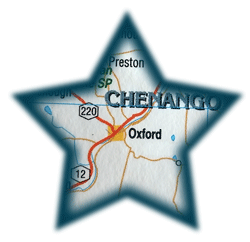 Learn about Canice Paliotta and what she wants to do for Oxford and Chenango County. REMEMBER TO VOTE!!! November 7th, 2017. Polls are open from 6 am to 9 pm. Oxford NY Wards 1 & 2 vote at the Oxford Firehouse, 20 Main St., Oxford, NY.